What is a Loose Core? A condition brought about primarily in pad-wound tapes where a reduction in moisture from within the cardboard core causes the wound material to become unstable and/or loose. This looseness is evident in the surrounding layers of tape near to the core and could create an unsteadiness in the pad. In extreme cases, the core may tend to slide completely out from the center of the pad. 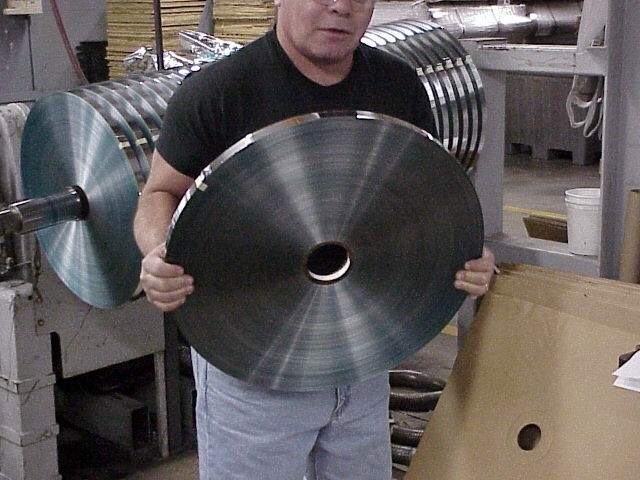 With no tension against the core, some layers further up the pad diameter could also become loose during handling.